Getting success with Facebook and Instagram ads needs a lot of split testing and reverse engineering. Most of the time advertisers(specially new) ends up losing money. 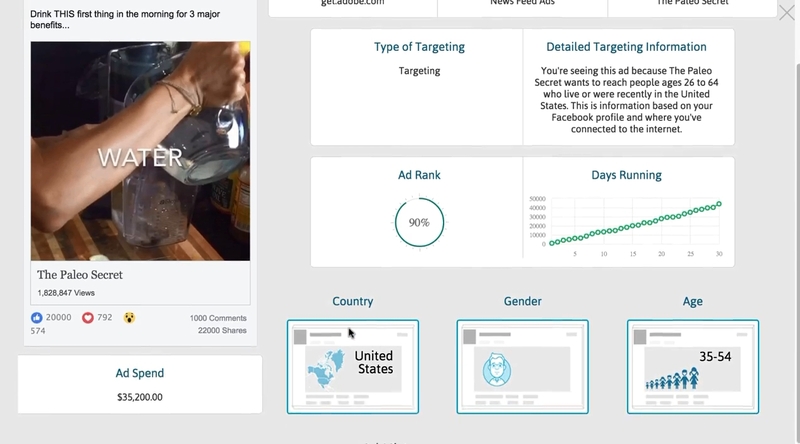 What if you reverse engineer successful ad campaigns from database of thousands of old and live ads profitable Instagram, Facebook Feed and Video ads from more than 40 countries with detailed stats you can replicate on your ad campaigns. “Why I’m seeing this” feature – What type ads are using (Retargeting, Targeting campaigns) and what interests they’re using for their targeting campaigns. Also, the exact age ranges that advertiser is targeting. 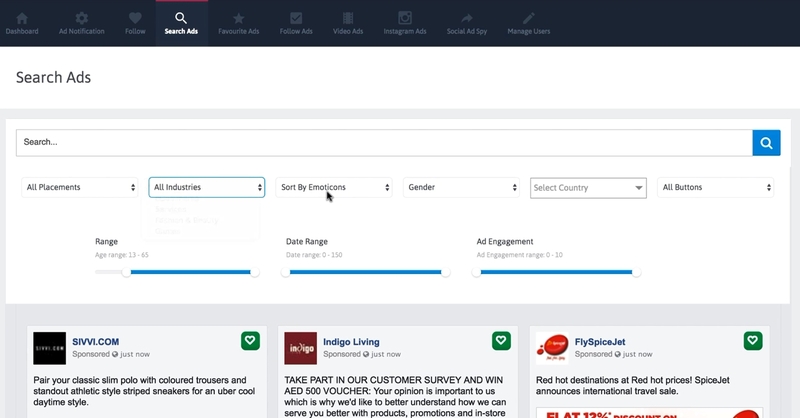 Ads filter including Placements, Demographics, Industries, Emotions, Gender, Countries, Date Range, Age Range, Ad Engagement and more. User friendly experience and intuitive design. Find viral posts on Facebook and Instagram. Adviser2 gives your customers a very broad view of the market and niches, so that they wouldn’t miss the best hot niches and can easily replicate other profitable ad campaigns for their TeeSpring campaigns, Shopify campaigns or for any niche traffic.